• The first trailer for the BFG - A live action movie version of Roald Dahl's book - directed by Steven Spielberg. I played one of the evil giants. • The Power of Ignorance book, full title: 'The Power of Ignorance: 14 Steps to Using Your Ignorance to Become Happier, Safer, More Confident and More Likeable, To Forget Your Limitations, Inspire Yourself With Successes You've Never Had, and Achieve Your Goals In Addition to Enhancing Your Ignorance To Promote All Those Things, and Well-Being Generally' available to purchase! • The Power of Ignorance play, also available. • Run Robot Run is available in itunes. British comedian Chris Gibbs has been described as “One of the funniest guys around” by the National Post. 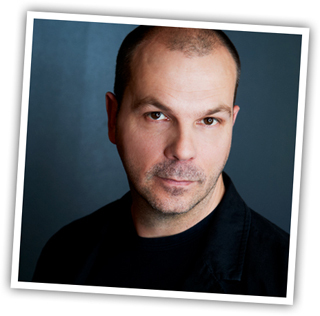 The Toronto Star has called his shows “darkly gleeful” and “comic stand-up gold”; and the CBC has described his delivery as “a combination of dry wit and barely controlled madness that threatens to go off the rails at any time.” He is best known for... read more.